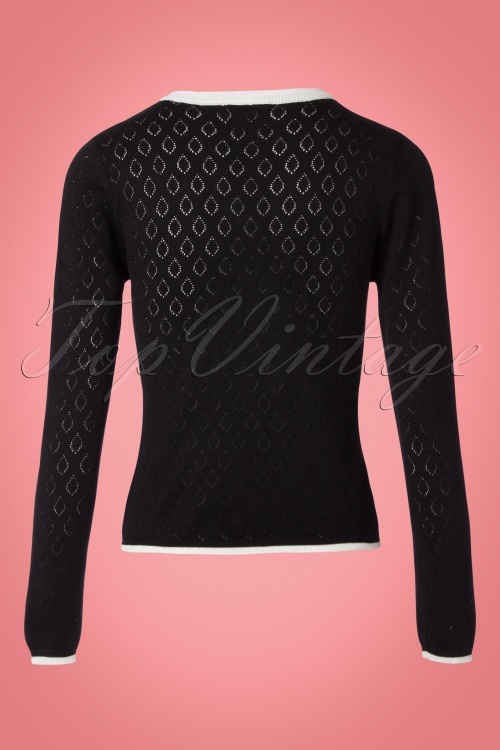 This 50s First Love Knit Top in Black is one to fall in love with! 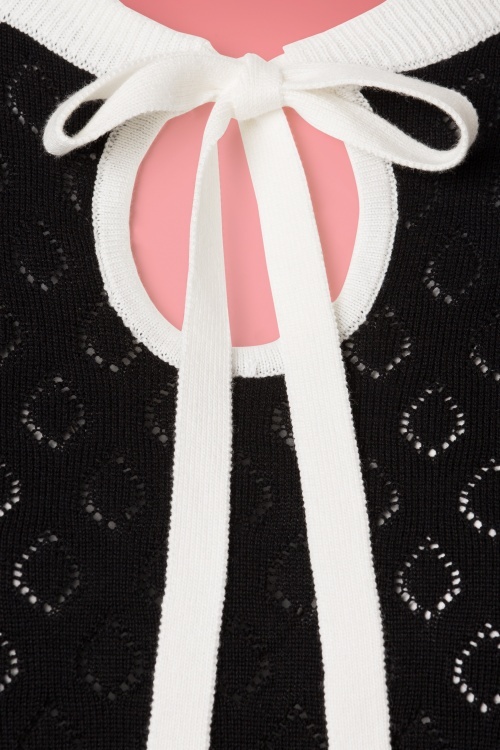 First Love... it's all in the name ;-) The top features a beautiful round neckline and a playful keyhole with fixed tie straps, cute! 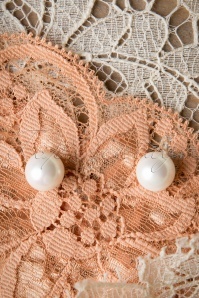 The white trims and the openwork pattern are the icing on the cake. 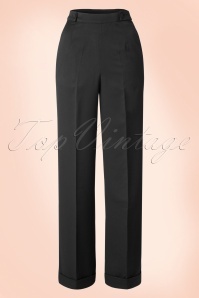 Made from a lovely supple black blend of viscose and cotton that has a light stretch and will keep its shape, even after a few washes. 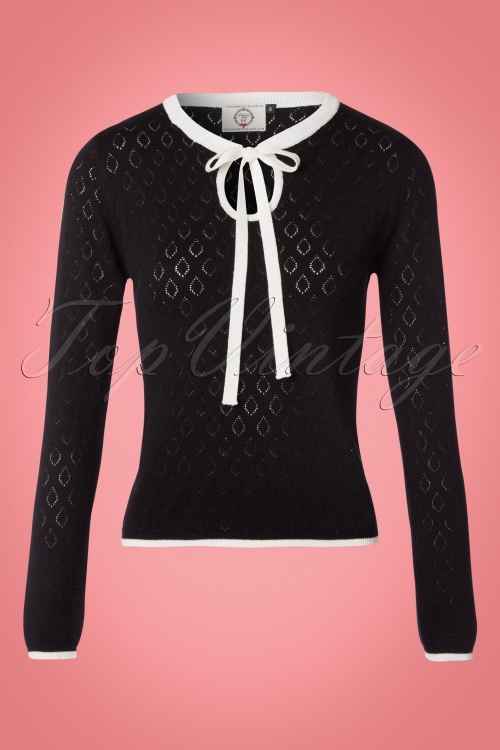 A versatile top which can't be missed in every vintage lady's wardrobe! Der Stoff ist schön anschmiegsam und die Größe passt perfekt wie in der Größentabelle!! Vandaag deze leuke top ontvangen. Ik was wat huiverig dat de voorgevel er niet in zou passen (Hcup, xl besteld). De top past perfect en zit heerlijk. Staat ook nog super leuk.